Developed in 1938 from a Schneider trophy-winning design by the aeronautical engineer and designer R.J Mitchell, the Supermarine Spitfire went on to become the definitive Allied fighter of the Second World War, and ranks amongst the most famous aircraft of all time. This pocket manual presents an accessible collection of fascinating historical documents to explore the technical and tactical developments relating to the design and use of this famous aircraft. Sources include the Air Ministry's original specification for a single-seater day and night fighter, handling trials of the Spitfire prototype K-5054, squadron fighting tactics, pilot's log books and pilot's notes for the Mark V, air group reports and tactical papers. Collectively these give a unique insight into the Spitfire, illustrating its durability and adaptability in performing many war-winning roles. 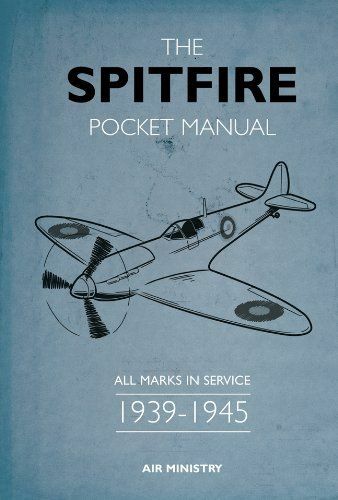 With illustrations and an introduction by historian Martin Robson, The Spitfire Pocket Manual is an essential volume for any Spitfire enthusiast.